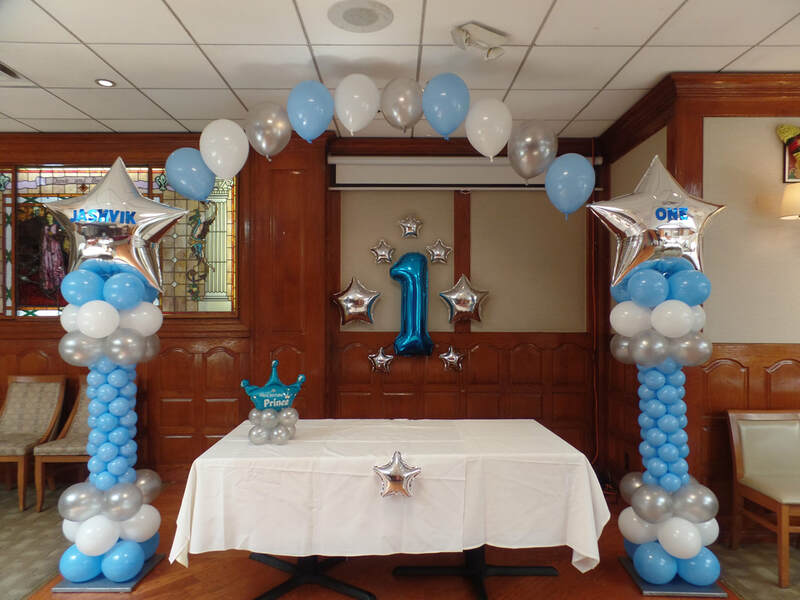 For this party, I created two columns in light blue, silver and white with a large star foil balloon. The stars were personalized. I added a "string of pearls" to form an arch. 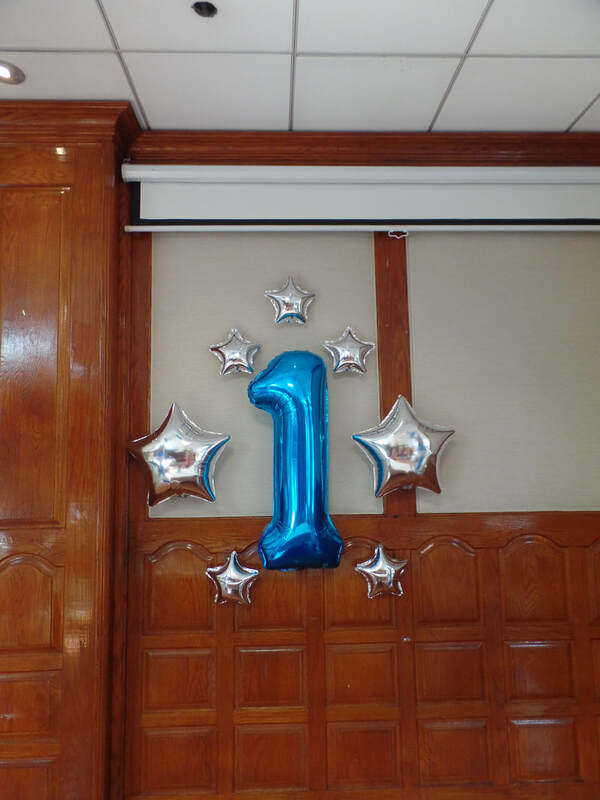 For the background, I placed a large #1 foil in royal blue balloon and foil silver stars. 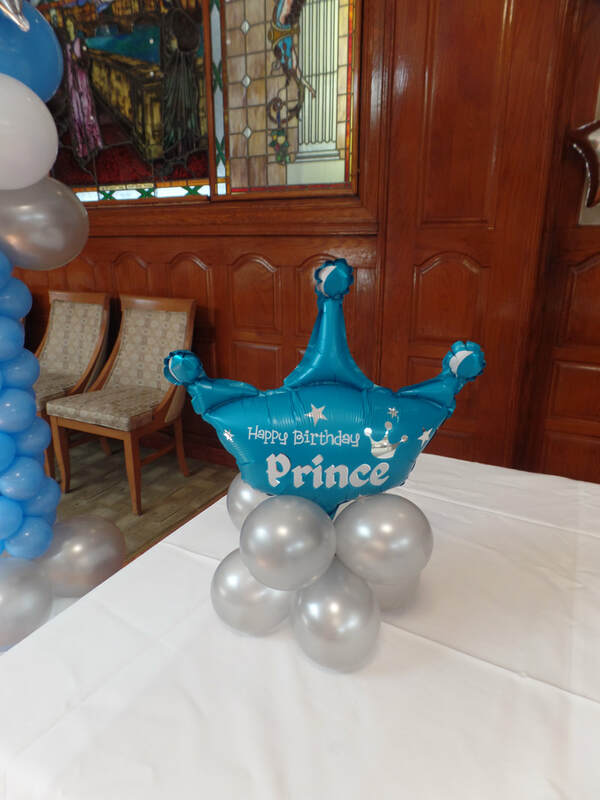 I also created a small crown table decoration.